A still from the North Lyneham Mini Mart robbery on Saturday. Image: ACT Policing. A 35-year-old Lyneham man will face the ACT Magistrate’s Court on Friday morning (6 April) following multiple aggravated robberies across Canberra. 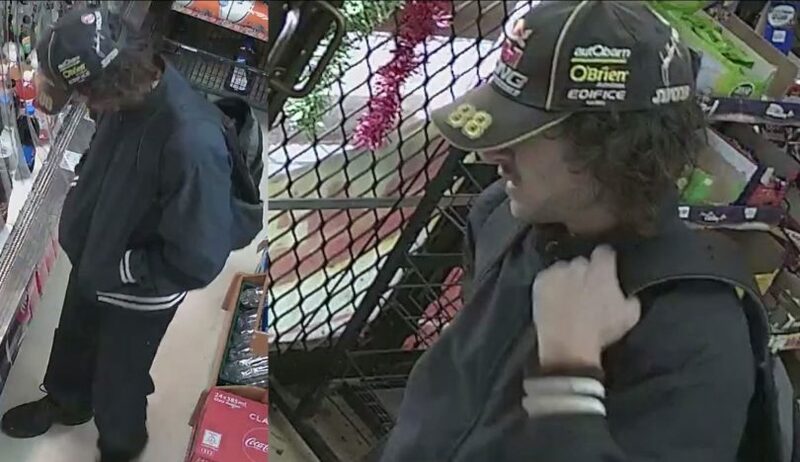 The man was involved in an aggravated robbery at North Lyneham Mini Mart last month (17 March). The man entered the shop on Colville Street, where he threatened the cashier with a kitchen knife and left with a sum of money. The same man then went on a spree of armed robberies this week, starting on Monday morning (2 April) at a Braddon supermarket on Lowanna Street. According to ACT Policing, the Lyneham man entered the supermarket with a knife and demanded cash from the till. Staff complied and the offender left with a sum of cash. On Wednesday morning around 8:20 am (4 April), the man was involved in an attempted armed robbery at a newsagency on Wattle Street, Lyneham. The knife-wielding man walked behind the register and demanded money but staff did not comply with the demands. About 15 minutes later, the man entered O’Connor IGA Supermarket with a knife and demanded cash. Staff complied and the offender fled on a push bike with a sum of cash. Police responded to each of the incidents and officers conducted a number of search warrants. Investigations led police to arrest the Lyneham man on Wednesday evening (4 April). The man is facing the ACT Magistrate’s Court for charges relating to aggravated robberies and an attempt aggravated robbery. Well done, the plod. Let’s hope this derro gets locked up for loooooong time. But he’ll probably be sent to bed without his supper.